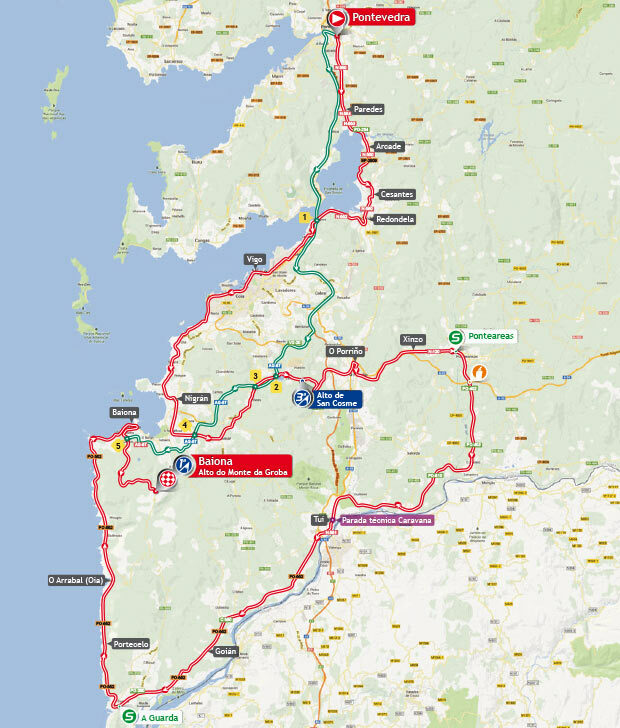 Stage 2 of Vuelta a España 2013 edition is from Pontevedra to Alto da Groba. 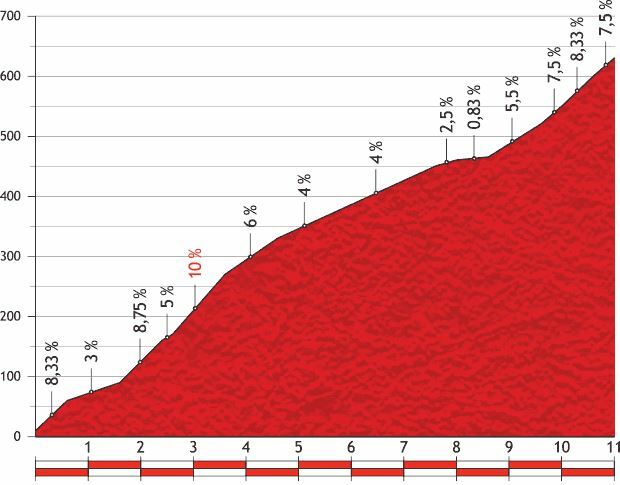 It is the first summit finish of this years’ Vuelta. The length of the course is 177.7 km. Name Distance Max. Altitude Diff. Avg. Max. Pontevedra is a city in the north-west of the Iberian Peninsula. It is the capital of both the comarca (county) and province of Pontevedra, in Galicia. Pontevedra is well communicated by road and rail. It sits on the A Coruña-Vigo railway and motorway corridor. 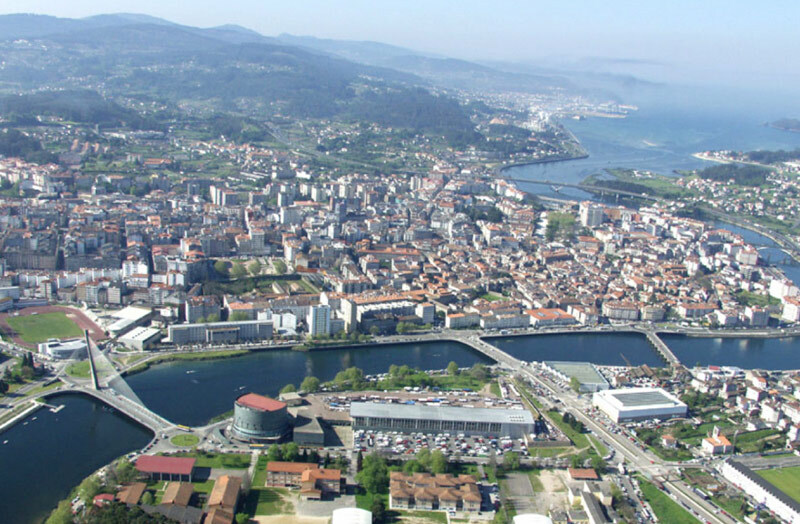 Pontevedra is located between the Galician capital Santiago de Compostela (58 km to the north) and the largest Galician city, Vigo (30 km to the south). Pontevedra itself does not have an airport, but both Compostela and Vigo have international airports. A good network of roads and motorways efficiently connects Pontevedra with these cities, and also with Portugal (57 km to the south), and inland (100 km to the eastern city of Ourense). Regular bus lines link Pontevedra with other Galician cities and towns, as well as with Madrid, Porto and Lisbon (among others). Pontevedra is a beautiful, small city, that makes visitors fall in love with her. An ancient town and medieval port, Pontevedra has been described as a “definitive old Galician town”. In recent years most historical buildings and streets have been either re-built or revamped, providing for a well preserved urban landscape. Alto da Groba is a mountain located in town of Belesar, in the municipality of Pontevedra Bayonne. With 662 meters of elevation, it is the highest peak of the Serra da Groba (Sierra Groba).